Get best reading experience with Kindle!!!! 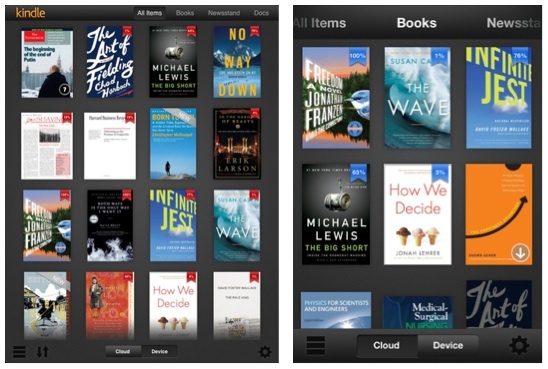 Kindle an ios app offers massive selection of books, magazines & newspaper. Best designed for Ipad, iPhone & iPod touch this app provide easy to use interface. You can read over 800,000 books & 400 magazines with just $9.99 or less. It synchronizes page reads, notes & highlight across various devices that help you switch to page where you left. Customizing your page & font color, portrait or landscape provides you lively interface to read. With just flicking you can turn your pages, search inside books. You can get free book sample in Kindle. Kindle for ios has been updated to Retina Display.